In the wake of the likely cancellation of the US Joint Cargo Aircraft program, Airbus Military has redoubled its marketing campaign efforts to push for an open tender for Australia’s Battlefield Airlifter (BFA) requirement under project AIR 8000 Phase 2. 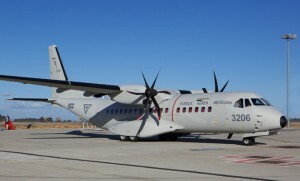 In a media briefing held in Canberra on March 6, Airbus Military Australia C295 program manager Valentin Merino told journalists that the cancellation of the US JCA program meant many of the advantages in acquiring the Alenia C-27J, the RAAF’s preferred solution for the requirement to replace the retired Caribou capability, were no longer applicable. 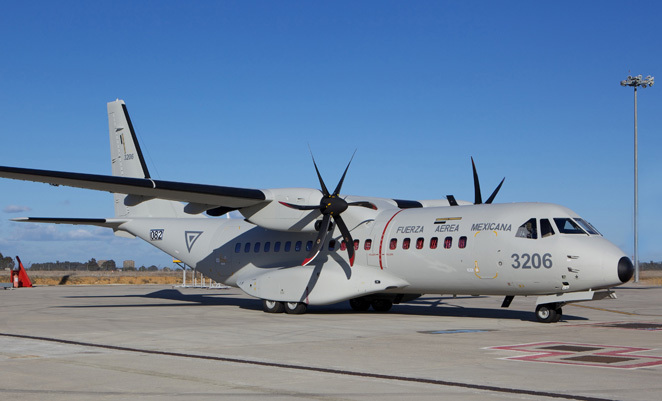 “We are 50 per cent lower in the acquisition cost than the C-27J, and over the life of the aircraft … our assessment is that we can save around $400 million dollars over 30 years of operation,” Mr Merino said. The recent Presidential FY13 budget proposal kills off JCA program, canceling future buys and with the existing fleet to be sold off. Mr Merino said this meant none of the certainties of a normal Foreign Military Sales (FMS) deal would now apply, such as supply chain confidence and commonality with a much larger US fleet. Mr Merino also questioned the RAAF’s cited preference for the C-27J for its ability to carry an Army G-Wagon. “Why is this requirement for vehicle carriage seemingly driving the acquisition for these aircraft when this type of mission will constitute such a marginal number of those undertaken by the battlefield airlifter?” he asked. Acknowledging the C295‘s inability to carry a G-Wagon because of its shorter cabin height, Mr Merino cited Airbus’s internal desktop-based analysis of Alenia’s own data, which he said showed the C-27J could not fit 50 per cent of the incoming G-Wagon fleet either. The G-Wagon fleet is made up of both station wagons and a cab-chassis version fitted with box-shaped rear modules. The height of these modules exceed the maximum safe cargo height for the C-27J under the RAAF’s own DEF(AUST) 9009A standards, according to Airbus. The need to transport a common battlefield vehicle seems a significant requirement. I don’t think a prospective contractor should be questioning such a need. The services need an aircraft that can do all the tasks required. No doubt the C295 can do most of the tasks but not all. The C-27J has a lot of systems common to the C130 thus saving in support and training costs. Get what the services ie. the troops in the field need not what the pencil pushers and salesmen thing they need. Any way with all the studies and fact finding missions to date the services could have had both aircraft inservice now at half the cost. Why do vendors have a say in procurement decisions? If the RAAF want the C-27, then I’d suggest EADS be happy with their 5 KC-30s, say ‘thank you’ and keep their mouths shut. Pez, the real question us why do only some vendors have a say in procurement decisions. What you save in acquisition may well be lost in spares, training, and ancillary costs (from other buckets of money) such as staffing to deal with re-palletisation of cargo, ground handling requirements and other less visible considerations. Beware the cost comparison, because they generally ignore the less visible costs that can be hidden in someone elses’ bucket of money.